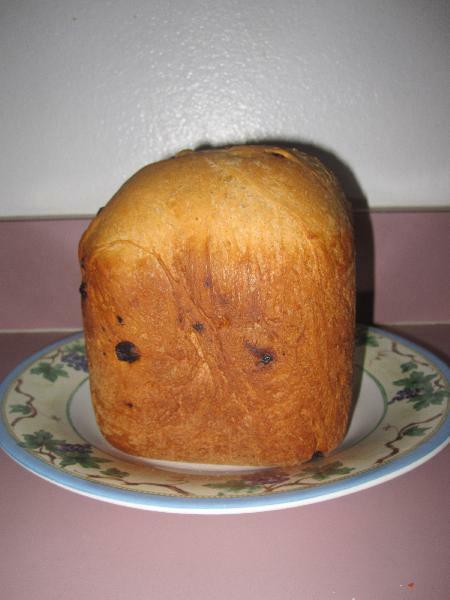 This recipe was located in the manual for my Oster bread machine. This bread is yummy. 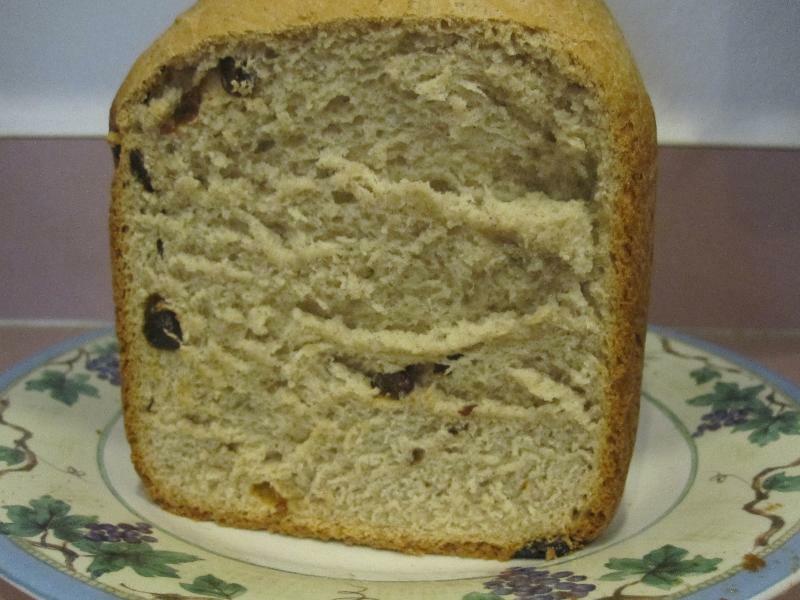 Though when I make it again I will add more raisins and more cinnamon. Measure and add the liquid ingredients to the bread bread pan. Measure and add the dry ingredients (except the yeast) into the bread pan. Use your finger to form a well (hole) in the flour where you will pour the yeast. The yeast must never come into contact with a liquid when you are adding ingredients. Measure the yeast and carefully pour it into the well. Press the "Select" button to choose the Basic setting. Press the "Crust Color" button to select light, medium, or dark crust. 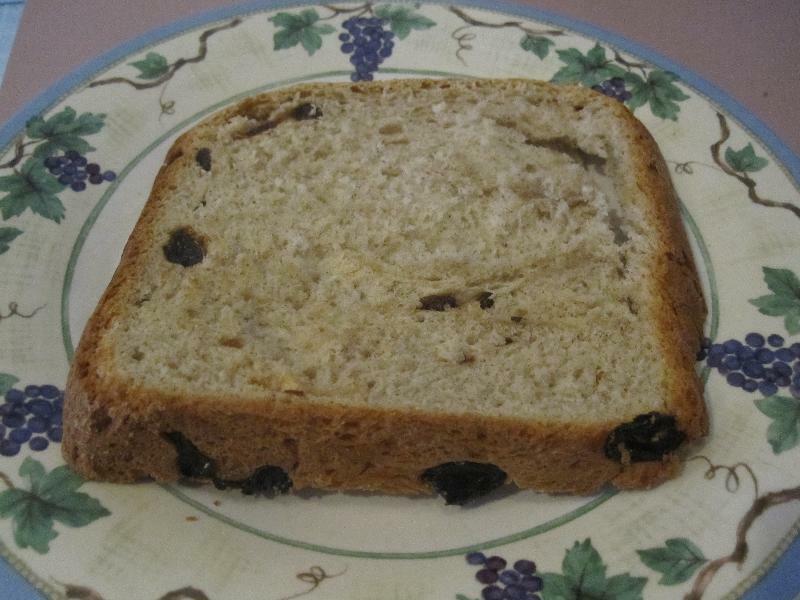 When adding the fruit the bread machine will make a beeping sound. 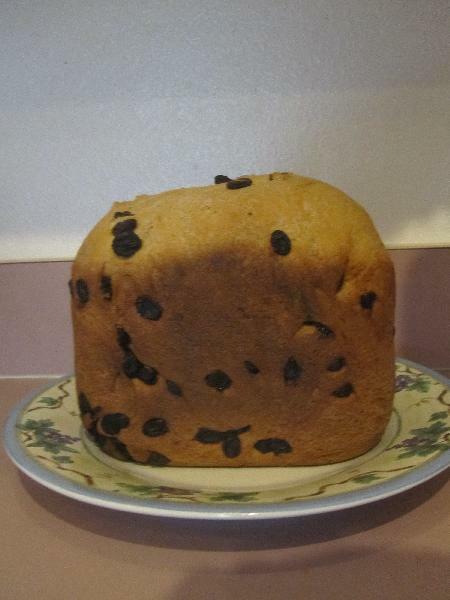 This is when you should add the raisins or any fruit.